The Nintendo Switch is a hybrid video game console that resembles many of today's tablets. You can use it at home or on the go. Place it in the docking station connected to a TV, to use it like a regular home console. When undocked, you can play Nintendo games in tablet mode wherever you go. Included in the box is a docking station with HDMI and USB ports, as well as two Joy-Con controllers, along with wrist straps. 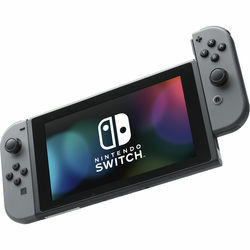 The controllers attach to the sides of the tablet, and can connect to a bundled gamepad shell called the Joy-Con Grip. 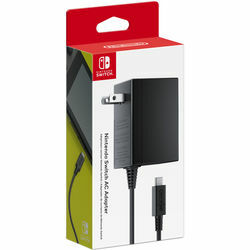 Among the selection of available optional Nintendo Switch accessories are controllers that make certain games easier to play. 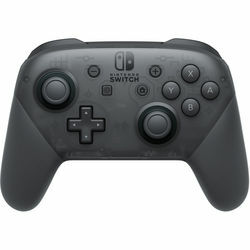 These include the Switch Pro controller and a full-sized gamepad that looks like the ones bundled with PlayStation and Xbox consoles. What Games Can You Play on the Switch? An important thing to think about as you prepare to buy a Nintendo Switch console is availability of games. Thankfully, this system has a growing library of classic titles and games from indie developers and big game studios. Nintendo-developed games include entries in Mario, Donkey Kong, The Legend of Zelda, and the Splatoon series. Some of these have multiple titles. For example, you can play Super Mario Odyssey, Mario Kart 8 Deluxe, and Mario Tennis Aces on the Switch, as well as games not yet released, as gamers look forward to several more Mario titles to be released in the near future. Using Switch Odyssey bundles is the ideal way to ensure you have what you need to get up and playing quickly. 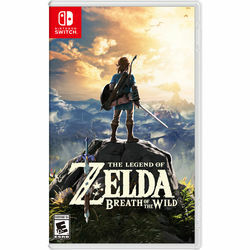 There's also a wide selection of third-party Nintendo Switch games spanning multiple genres such as sports, racing, metroidvania, RPG, puzzle, and action-adventure. To play certain titles comfortably, you may need an accessory that makes gameplay better. For example, the Joy-Con wheel makes the bundled controllers better suited for racing games. What's the Nintendo Labo Kit? The Labo is a kid-friendly platform that extends the functionality of the Nintendo Switch 32GB console to DIY toy construction. There are multiple Labo kits, with each one containing cardboard cutouts, strings, stencils, stickers, tape, and rubber bands. Gamers can assemble these to make toys that interact with their Switch consoles and Joy-Con controllers. Examples of interactive toys you can get with Nintendo Switch bundles include fishing rods to play fishing games on the console, mini pianos, remote-controlled cars, and mecha suits that turn players into giant robots. The Nintendo Switch lets you play your favorite video games whether you're at home or on the road. This hybrid console has a rich library of games and supports multiple controllers so you can enjoy cooperative and multiplayer gaming with friends. Find the Switch, a wide selection of accessories, and other gaming devices like Nintendo 2DS consoles in B&H Photo and Video's extensive inventory of gaming products.